The Wright State Board of Trustees voted at today’s meeting to ratify the contract recently proposed to the faculty union (AAUP-WSU). Board members say the ratified contract includes concessions on areas the union previously voiced concern over. “The document makes significant concessions to union demands, but also allows the university to continue on a path to financial recovery and sustainability,” the univeresity said in a press release. Trustee, retired Lt. General C.D. Moore II said it was a very fair offer. “We have made substantial concessions – with retrenchment, workload, furlough days, merit pay, non-tenure eligible faculty appointments, retirement incentives, summer teaching rotation, and pay raises. In fact, specific language on summer teaching rotations and pay raises comes directly from union demands during last week’s negotiations,” Moore said. Wright State President Cheryl Schrader said she looks forward to the faculty returning to the classrooms. “The trustees and union leadership worked hard to find common ground. I believe tonight’s proposed contract addresses the union’s major areas of concern, while positioning the university for continued financial recovery and sustainability. 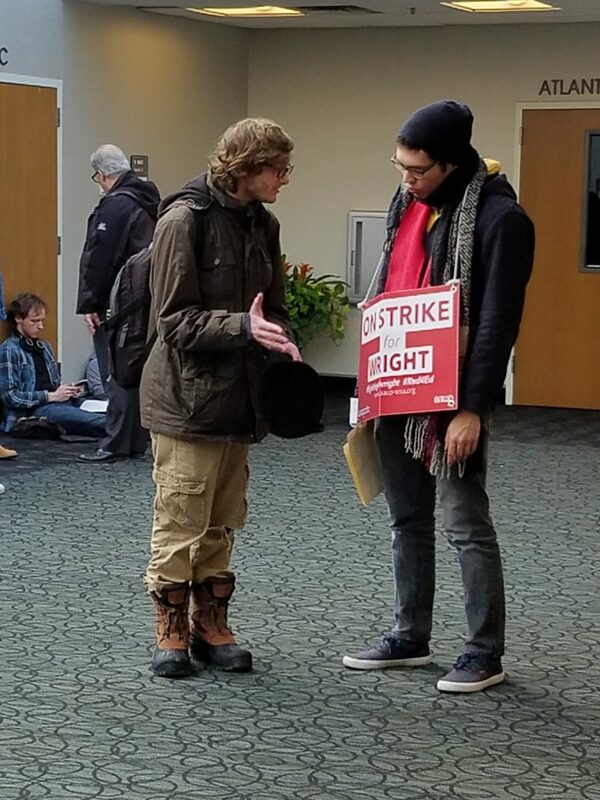 I hope it is quickly approved by our faculty union members, and we can all move forward in the same direction,” a statement by Schrader said. The AAUP-WSU has not yet voted on the terms of the ratified contract. “I join our Trustees in asking the AAUP Executive Committee to put this proposal to a full and transparent vote of AAUP membership,” said Schrader.